A five-judge Supreme Court bench headed by Chief Justice Dipak Misra on Thursday resumed hearing the petitions challenging the constitutional validity of Aadhaar cards. The hearing in the case began on Wednesday, five months after the apex court ruled that privacy was a fundamental right. 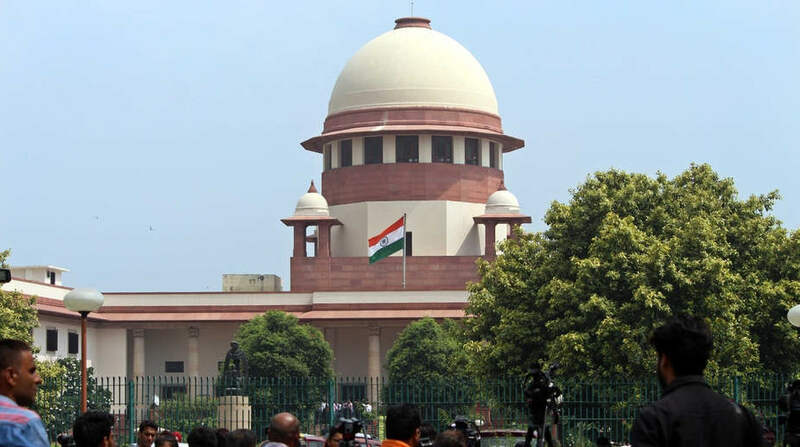 Justices AK Sikri, AM Khanwilkar, DY Chandrachud and Ashok Bhushan along with the CJI are hearing a clutch of petitions, the earliest one filed back in 2012, claiming that the Aadhaar violates an individual’s fundamental right to privacy. On Wednesday, senior lawyer Shyam Divan, who is appearing for the petitioners, argued that it was wrong to take people’s biometric data for Aadhaar Card. He added that the Aadhaar Card may cause the death of civil rights of citizens. During the hearing on the same day, the Supreme Court was told that Aadhaar was “an electronic leash” to which every resident of India was tethered, and was violative of the Constitution as it reduces the recognition of an individual to a number. Asserting that Aadhaar reduces the individual identity to a numerical, the bench was told the “government has rolled out a little understood programme that seeks to tether every resident of India to an electronic leash”. “If the Aadhaar Act and programme is allowed to operate unimpeded it will hollow out the Constitution, particularly the great rights and liberties it assures to citizens,” said Divan. Telling the constitution bench that “A People`s Constitution will transform into a State Constitution”, Divan said that the Aadhaar “electronic leash” is “connected to a central data base that is designed to track transactions across the life of the citizen”.